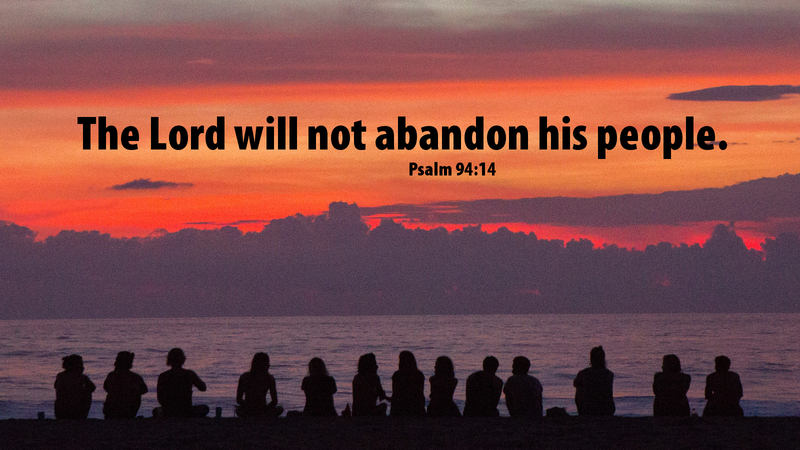 For the Lord will not abandon his people, nor will he forsake his own. As often as I said, “My foot has slipped,” your love, O Lord, upheld me. In our reading for today, the psalmist is wrestling with the arrogant, the wicked and the evildoers who boast and bluster, crushing the Lord’s people, afflicting his chosen people, murdering the widow, putting orphans to death. “Yet they say, ‘The Lord does not see, the God of Jacob takes no notice.’” The writer cries out for the God of vengeance to show himself, for the Judge of the world to do something — anything — to give these people their just punishments. Surely, there’s a sense in which we share those sentiments! There are times in life when it appears the evil and wicked flourish while God’s children suffer. This is especially true when we are in the midst of Advent, making preparation for Christmas, while the world seems to go on its way with no regard for the coming of the Lord of Light and Life, Jesus Christ. Still, drunk drivers assault the innocent and unaware. Thieves steal packages from mailboxes and porches. War, conflict and terrorism continue with no pause to sing “Silent Night” from the trenches. The realities of life can be burdensome and leave us wondering why God doesn’t act to relieve suffering, pain and travail. Prayer: O Lord, you have upheld me when I have slipped. Your consolations cheer my soul. You are my stronghold and my trustworthy rock! Amen. Advent Action: Sing “A Mighty Fortress” as a reminder that God is our stronghold.